Have you ever realised the insecurity whenever your relative or friends use your computer without taking your prior permission? may be yes, because you may have your confidential files and other documents which you really don’t want to open publically.If you really want to block your USB port in your Windows then you should follow the process and instruction we have provided below, the instruction will lead you, that how can it be possible, you can really block your USB port and later on, you can able to unblock it.There are three best methods in which you can block your USB port:1. Block By Changing The Registry2. 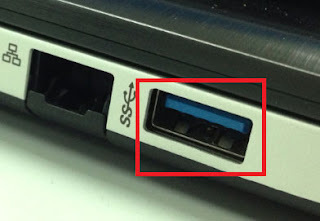 Block By Disabling USB Device Manager3. Block By Uninstalling Your USB Mass Storage DriversTo Analysis Your Steps On Every Methods! Follow the below instruction in 3 Methods!#1 Block USB Port By Changing The RegistryIn this process you can change your registry value so that you can block your USB port in windows, the process is very simple if you continue to do the same process repeatedly, then you can save your time by doing the setting speedly.This is one of the first methods that we recommended.Step1. From your desktop press Windows button + Rthat is Win+RStep2. You will be prompt with Run Window and in that Type Regedit￼RegeditStep3. Soon you will see the window in which you have to follow till the end, go to HIKEY_LOCAL_MACHINE -> SYSTEM -> CURRENT CONTROL SET -> SERVICE -> USBSTOR￼USBSTORStep4. Within USBSTOR, you will see START at the right side of the window Registry Editor.Step5. Double Click on START and change the Value Data with 4 to disable your USB port and if you want to enable your USB port then change the value back to 3.Step6. After changing the value just click on OK and close the Registry Editor.#2 Block USB Port By Disabling USB Device ManagerWe have alternative choices for you, if you tried out the above method and didn’t work then you can use this method, this is the method that will definitely work because you are directly accessing to the USB port managers, from there you can disable all your USB port. ￼USBCStep1. From desktop, Right Click on My Computer, Select on MANAGEStep2. You will see a new window and at the top of that window written Computer Management.Step3. You can see System Tools, from there click on Device Manager.Step4. On Device Manager find Universal Serial Bus Controllers.Step5. Right click on every USBC to disable all the drivers.Note: If you see no changes in your settings then you have to restart your computer.#3 Block USB Port By Uninstalling Your USB Mass Storage DriversThis method is really a time taking, because, in this process you need to uninstall all your USB drivers from your windows computer. If you have already used the above methods and didn’t worked – then you are bound to do this method.In this method the step is same as the above mentioned but there is only change, and that is you don’t have to disable your USB drivers instead of that you have to click on Uninstall on each and every drivers and sooner you will see that all of your drivers from the Device Manager removed and you need to restart your computer to get this thing working properly.